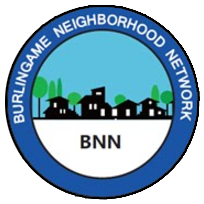 When you participate in Burlingame’s Citywide Emergency Drill, we try to assign you to a group that is running the drill close to where you live. Drill groups are organized in 18 districts that correspond to the same neighborhoods shown on Nextdoor.org. They correlate with the Burlingame Police Department’s precincts. Which neighborhood are you in? You can find out by clicking on this map. Sign up for our free newsletter on the Subscribe/Contact Us button to learn about upcoming events and opportunities, including advance notice about next year’s Citywide Emergency Drill.